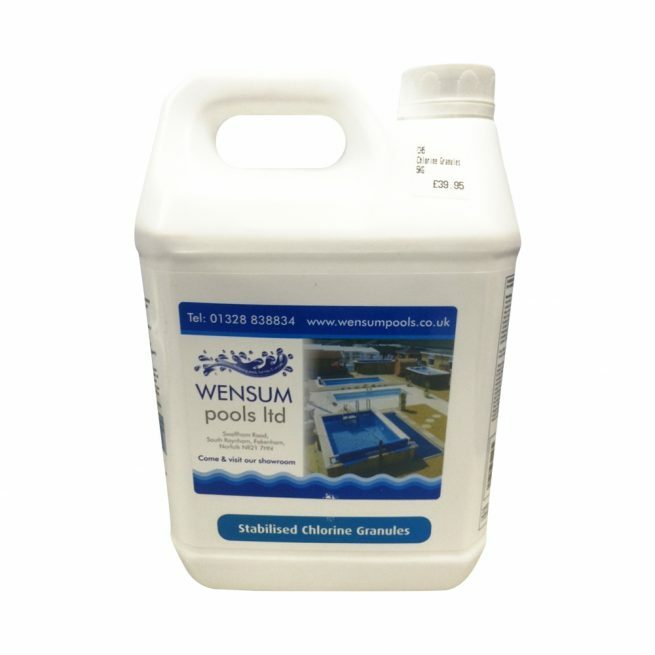 Stabilised Chlorine Granules from Wensum Pools are rapid dissolving granules for easy cost effective chlorination. This is the most popular sanitiser for outdoor pools and hot tubs. Hot tubs and pools should never be used without proper chlorination.